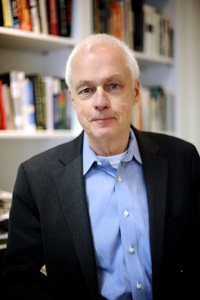 BILL IVEY is the founding director of the Curb Center for Art, Enterprise, and Public Policy at Vanderbilt University. During his long tenure in public service, he served as Senate-confirmed chairman of the National Endowment for the Arts in the Clinton-Gore administration, and in that capacity is credited with both increasing the agency’s budget and restoring good relations between the NEA and Capitol Hill. He is a trustee of the Center for American Progress, and served as a Team Leader in the Barack Obama presidential transition. He is the author of Arts, Inc. How Greed and Neglect have Destroyed our Cultural Rights, and Engaging Art: the Next Great Transformation of America’s Cultural Life. As past president of the American Folklore Society, he today serves as China Liaison for that group. He makes his home in Nashville, Tennessee.